where can I purchase a “wonder pot”? The "wonder pot" is a type of stovetop bakeware that seems to have been popular in Israel during a period of austerity. I'm looking for a (preferably USA based) supplier for a new one. Here's a link to a page with a photo of the item in question. My mother had a similarly shaped pan with a lid that she'd use for baking coffee cake and such when camping. It was all aluminum and much less complicated (and likely not as useful) as what your talking about. The closest thing I found is the Omnia Oven. It looks they may be had for about $50. My company now distributes the Omnia Oven which is a modern version of a wonder pot. These are available at http://lunatecgear.com/products/travel-gear/omnia/ and Amazon. I tried my darndest to find a good answer for you, but I'm honestly not convinced that these are still being made! Here is a link to an antique one on Ebay. i plan to have one shipped to singapore before december. will keep you posted how this turns out. Of course we still make wonder pots! You can get one on http://www.planero.co.il/item.asp?cn_4320 (a supplier in Israel). But I don't understand why you would want it, here it is considered a choice for people who can't afford anything better. 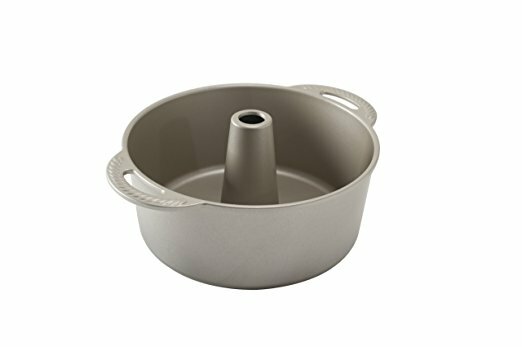 This one has handles, others don't, and you could put them in a pot with a lid. Not the answer you're looking for? Browse other questions tagged baking cookware kosher or ask your own question. What can I use a tempered glass pot for? Where to find a large individual brownie pan? Where can I find an extremely slim wooden stirring spoon?